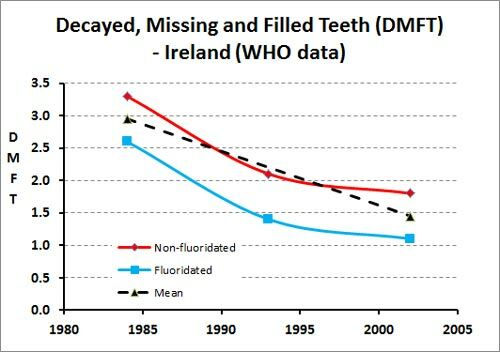 This entry was posted in Health and Medicine, SciBlogs, science, Science and Society and tagged Daniel Ryan, fluoridation, fluoride, fluoride debate, Rita Barnett-Rose, SciBlogs. Bookmark the permalink. Maybe this was explained earlier, but I can’t figure out why this law school professor decided to write such a piece on a topic about which she is so obviously out of her realm of knowledge and expertise. And, if there is some rational explanation to that question, then why did she whom, I guess, instructs law students on how to research and write issues, choose to simply jump in and regurgitate “fluoridealert” junk, instead of properly researching this issue from legitimate, credible sources? Seriously……. is this the example she wishes to set for her students? Did Connett ask, or contract with her to put his nonsense into a paper which could be cited by his followers, or something? It honestly makes no sense whatsoever why anyone in her position would put together such a shoddy piece and then rant about conspiracies when asked to discuss it back and forth. It seems Rita has bowed out of this discussion much in the same manner as do all antifluoridationists when backed into a corner, but I would really like to know her answers to these questions. She owes it to the integrity of her position, as well as to her students, to explain this fiasco on her part. I can’t figure out why this law school professor decided to write such a piece on a topic about which she is so obviously out of her realm of knowledge and expertise. Rita is unrepentant over the scope of the paper. Hers is an advocacy piece. It is not a impartial overview of the weight of scientific knowledge or of the literature on the topic. She emphatically pointed out that it was putting the case against CWF, and was entitled appropriately. The problem arising from this is that when viewed from a scientific viewpoint the paper is simply worthless as a means of getting closer to the truth or understanding of the current state of the science. Only she can advise on why she chose to advocate for marginalised viewpoints and allow her work to be further used by such groups to distort mainstream scientific consensus. That’s the last reply for now. Still waiting on Rita to write up her next one. I’m not sure if she will do one yet. She hasn’t the knowledge or understanding to make further comments of any intelligence on this issue……obviously why she indignantly packed up her toys and went home.